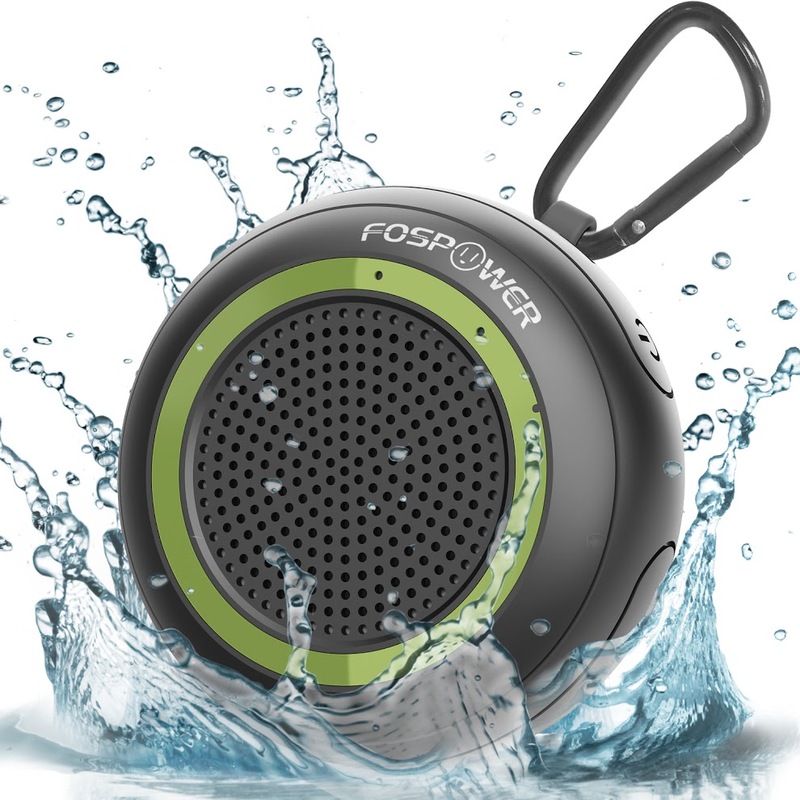 FosPower, a Minnesota based company that provides premium quality electronic accessories, is pleased to announce the IPX7 Waterproof Bluetooth Speaker. The affordable and high-quality speaker offers a diverse variety of features such as waterproof capabilities, long lasting battery life and true wireless stereo mode. FosPower’s IPX7 waterproof Bluetooth speaker is the perfect music companion for use both indoors and outdoors. Nothing livens up the mood like your favorite tunes at the pool, on fishing trips, beach excursions or for those who simply enjoy singing in the shower. The FosPower speaker is a game changer in the preconception of what a speaker should provide, by offering a wide range of features, capabilities and strengths all within one small compact device. 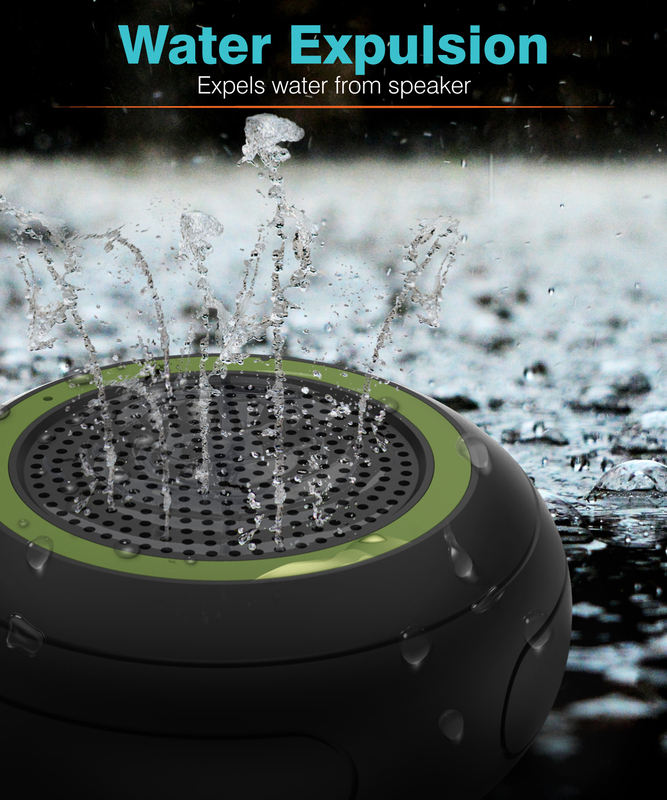 Unlike other similar speakers on the market that may offer an IPX5 rating, the FosPower IPX7 waterproof Bluetooth speaker is designed to completely resist water, dust and also withstand certain drops. The FosPower speaker is perfect for all music listeners who want to take their music with them wherever they go. FosPower’s waterproof Bluetooth speaker delivers high-quality audio while also being lightweight and portable. IPX7 Waterproof rated: can be fully submerged in water for up to 1 meter for 30 minutes, while other speakers are only IPX5 rated. True wireless stereo mode delivers great quality stereo sound when pairing two speakers together. The ability to float on top of water and expels water after being submerged, ensuring clear audio after it takes a dip. Long battery life of up to 10 hours of playtime. A Micro-SD card slot: plug in a micro-SD card to listen to your ideal set of music. Non-slip padding helps prevent the speaker from sliding. Each speaker is individually hand tested to ensure quality and durability are met. FosPower products come with a limited lifetime warranty. FosPower, Inc. was founded in 2014. Headquartered in Minnesota, FosPower has an integrated team from various backgrounds – ranging from techies to everyday Joe. Just like you, we are all consumers, and we are dedicated to power up your life for all your digital needs. Our peace of mind warranty guarantees quality products, and our customer service team will act promptly to achieve your satisfaction subject to the warranty. Your digital life, powered by us. FosPower.